Leicester's premier studio space for artists and designer-makers! Makers' Yard is an award-winning, dynamic and inspiring workspace for creative entrepreneurs. 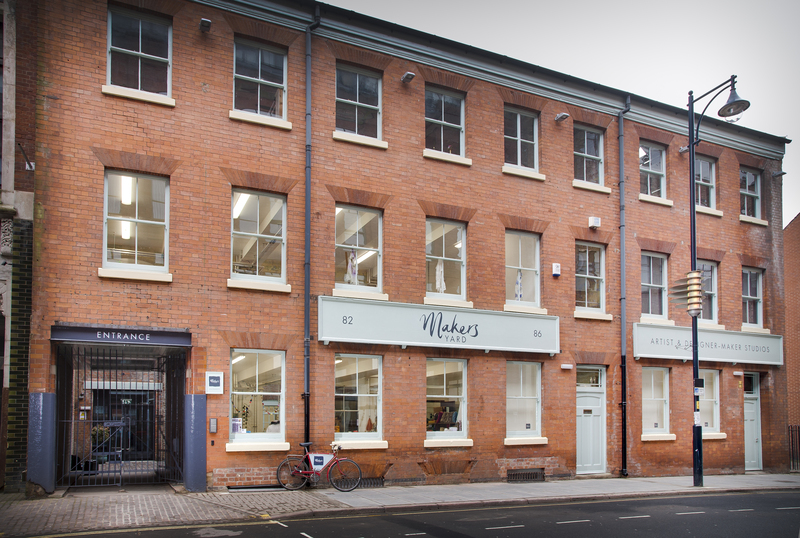 Located in Leicester's cultural quarter, this listed building is the oldest surviving hosiery factory in the East Midlands. It's been sensitively restored into ten studios which house a growing creative community of artists and designer-makers. Makers' Yard and LCB Depot are run by Leicester City Council | City Development & Neighbourhoods | Tourism, Culture & Inward Investment. For more information or to visit the studios, please email us or call 0116 261 6800. Find us on the map - Makers' Yard location. Join our Makers' Yard mailing list. Click here to see a pdf on the history of the Makers' Yard building from its beginnings in 1854 to the present day. As part of the City Mayor’s commitment to supporting the city’s creative industries, Makers’ Yard is made possible by Leicester City Council in partnership with European Regional Development Fund.